A big thank you to everyone who sent in snowfall reports! 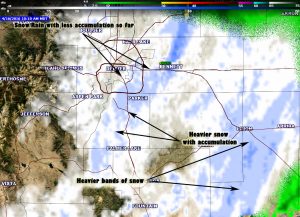 Our latest spring storm is still sitting over the area (believe it or not it hasn’t actually moved anywhere, just dried up a bit for the time being) As this system finally begins to move later in the day Monday, we will see a return of light snow showers along the front range. This post explores some information about how this storm finished and snowfall totals from around the area. I also look at how the forecast came together which is important because I believe that as a weather forecaster, reviewing how each forecast turned out is important to analyzing and getting better at it. I see a lot of chatter on social media and online the last few days about how unusual this type of storm is for Colorado in April; nothing could be further from the truth. 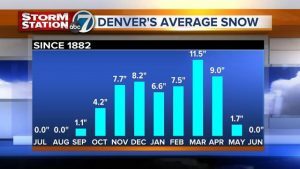 April is on average, Colorado’s second snowiest month right behind March. I saw this neat chart put together by our friends and Channel 7. I imagine they’ve seen a lot of the same comments I have which prompted them to put this together. If you are new to Colorado or haven’t lived here for all that long, March and April are no stranger to large snow storms. Most blizzards and storm snow storms we see come in the March-April time frame so trust me when I say, this is not at all unusual for Colorado. We saw a wide range of snowfall totals throughout the state and even throughout the Southern Denver/Palmer Divide area. The map image I’ve provided above are reports sent to me yesterday through the website. The full version of the map is still up and allows you to zoom in and see finer details. 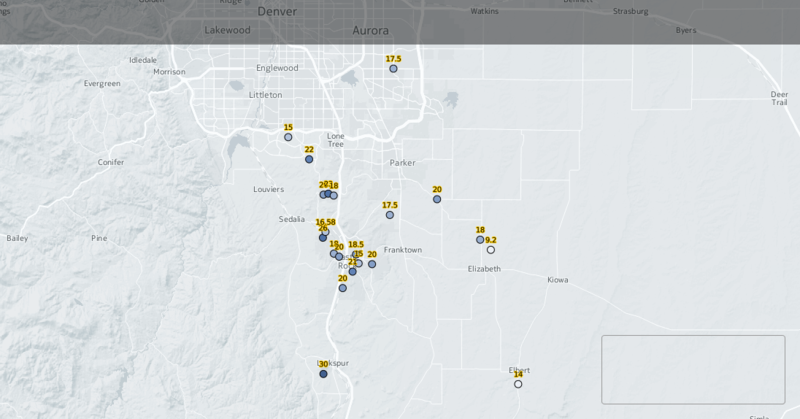 Generally the Castle Rock area finished between 18-26 inches, there was a lot of variability between areas mainly based on elevation and how much wind collected snow in your yard. I had 16.58 inches in my yard, where as a neighbor across the street had about 9. Someone not too far away from me had 26-28, this may seem unusually high at first but it really came down to elevation and wind. Anything between 15-30 for Castle Rock was realistic with the reports I saw yesterday. You can see the variability, even with locations very close to each other. This is typical for a storm like this where temperature, elevation and wind makes all the difference. 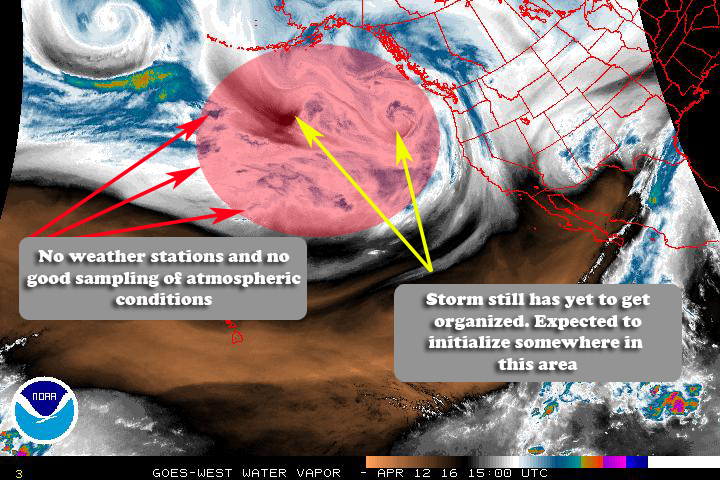 I first began seeing inklings of this storm in the models on or around Monday April 11. 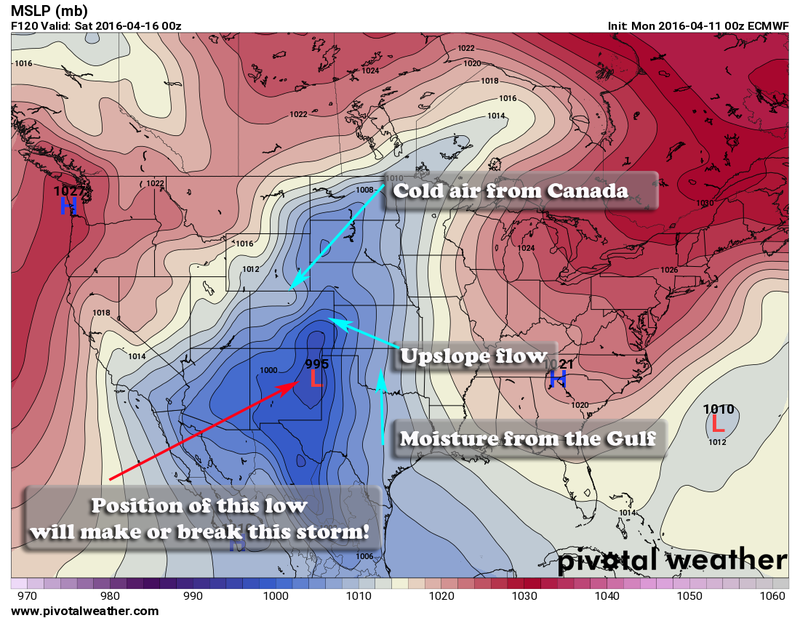 I posted an article titled “Monster April Snowstorm Brewing?” At this time we saw a huge discrepancy between the two major long term models, the GFS and Euro. The Euro brought nearly 5 inches of moisture into the state as snow, which would amount to nearly 50 inches for some areas. The GFS however brought this all as rain, meaning just a very rainy and soggy weekend. I was careful to say, “something was coming” but we were not sure if it would be snow or rain at this point. I mentioned that there was nothing to worry about yet with the storm as it was too early to tell. There was also a note about the Euro’s call on the last blizzard, it turned out to be the only model to pick it up a few days out. With little more information about this from models on Monday, I waited for Tuesday. Tuesday didn’t help a whole lot as models stayed stubborn on their positions. This doesn’t help much with the forecast though; GFS still calling for tons of rain, Euro still calling for tons of snow. I try not to sound like a broken record but at this point it was still uncertain. The storm had not yet materialized over the ocean and even when it did we needed to wait for it to get on land to have better data available. 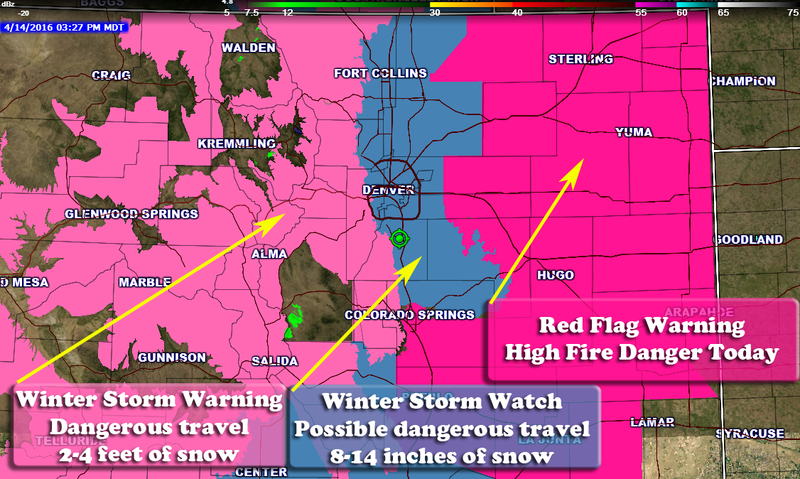 The National Weather Service also issued a Winter Storm Watch for the foothills during this time. This information was relayed but had a funny feeling Castle Rock would be included in this at one point or another. 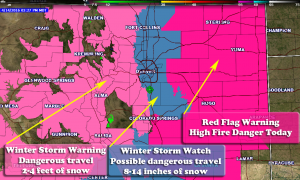 Eventually the watch was upgraded to a warning and a new watch was issued including Castle Rock and the Palmer Divide region. We had a good idea the storm was coming together by Thursday. I even threw out the suggestion for folks to get their errands and shopping done on Thursday or Friday. I felt pretty confident on that based on modeling late Wednesday into Thursday, there was still a chance for it to fall apart but it was getting lesser. By Friday morning, the storm was looking pretty solid on models across the board. GFS, Euro, NAM, NAM4K all showed big snow for the front range! With the NWS pulling the trigger on a Winter Storm Warning, Major Winter Storm Imminent was posted. As we moved into Saturday and Sunday, the storm began to verify in a big way. Upslope flow established quite strongly and brought snow bands in from the Southeast. I’m extremely happy with how my forecast turned out for this one. There were a lot of variables, things that could go wrong but I followed model guidance and a bit of instinct and this one turned out quite well. The GFS still continues to struggle with guidance more than 1-3 days out. Leaning on a Euro bias, we were able to begin tracking this storm as a major snow storm nearly 5 days in advance, not bad! What did you think? Enjoy the coverage of this storm? Thank you so much to everyone who followed me, made comments and send in snow reports. This was an awesome way to cover this storm and enjoyed the interaction with everyone. Happy Monday! I watched your reports more closely than the actual news weather. You are more accurate in my opinion! I watched you almost completely…you did not let me down! thanks for your hard work and your accuracy!